We have initiated Judo wherein Students are trained by a professional coach and all facilities for the game are provided. 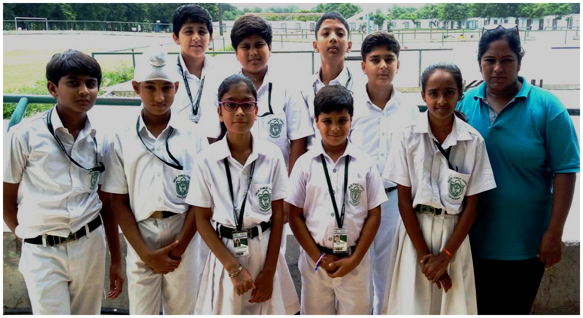 Our students have brought laurels to the school at District and Rural games. Judo Sub-Junior tournament held at A.M.C. 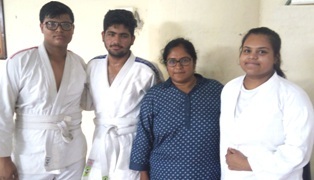 Judo centre, Satellite on 1st August,2018. Thirty students of DPS participated in different weight categories. Students secured 1st, 2nd and 3rd position in their weight category. October,2017 Delhi Public School - Bopal, Ahmedabad Participated in Judo Cadet Girls Association State Level Tournament held at I. P. Mission High School, Ahmedabad on 14th November 2017. Sahar Pisuwala of Class 12 F won the Silver medal in +71 kg weight category. Shree C. V. Mistri High School, Dholka, Ahmedabad. & selected for the State level SGFI Tournament. Maninagar-East, Khokhra, Ahmedabad on 5-8-2017.